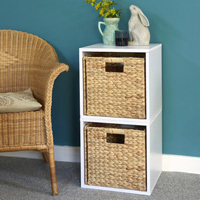 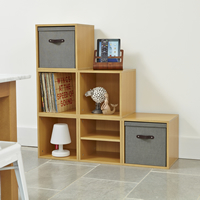 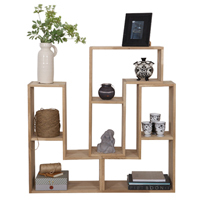 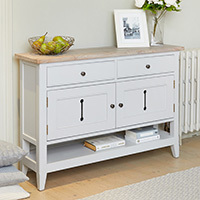 New to our range of Coastal Chic storage furniture is our small sideboard with 2 drawers and 2 doors (with a shelf behind), perfect for decluttering your home in style. 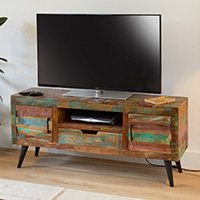 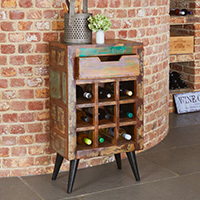 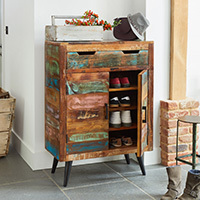 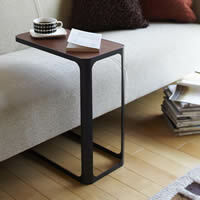 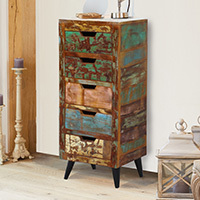 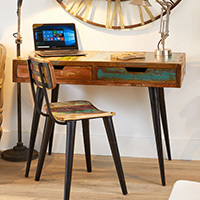 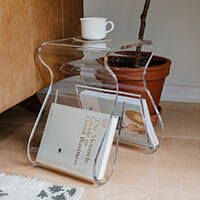 Each piece is crafted from reclaimed wood which is up to 150 years old and hand finished by skilled craftsmen for a truly unique aged-looking piece. 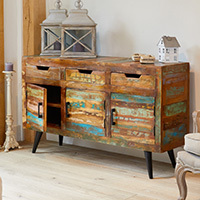 Crafted using a unique blend of reclaimed woods from places such as Gujarat, Maharashtra and Rajasthan, the small sideboard is perfect for decluttering around the house - whether storing books and DVDs in the living room or cutlery, trinkets and tabletop accessories in the dining room, the small sideboard brings an element of stylish shabby chic to your home. 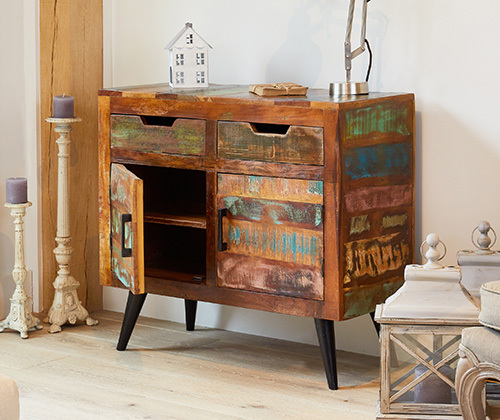 Our sideboard has sturdy iron legs which offer a striking feature and the unit is finished with a resilient satin lacquer which is hard wearing but also emphasises the beautiful colour and character of the timber. 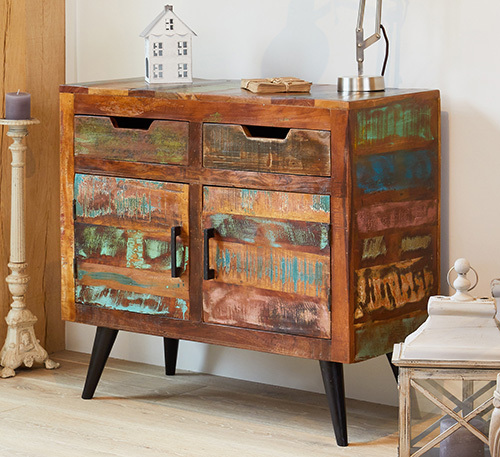 Our Coastal Chic sideboard is a solidly constructed piece of furniture and only needs the iron legs to be attached after delivery and we've also included a 5 year guarantee for extra peace of mind.